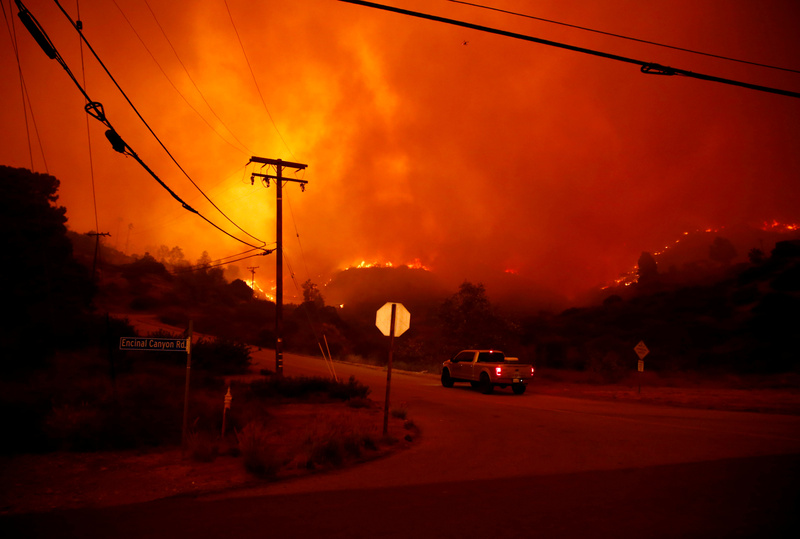 The Woolsey Fire burns in Malibu, California, U.S. Nov. 9, 2018. REUTERS/Eric Thayer. 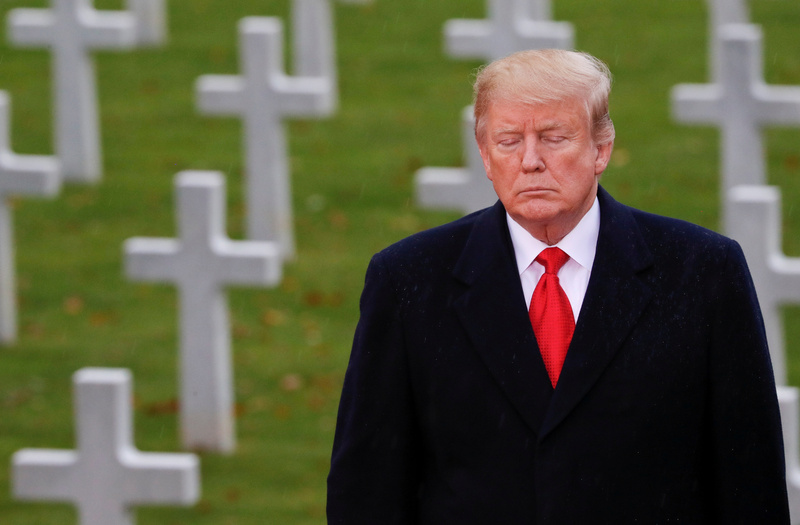 U.S. President Donald Trump takes part in the commemoration ceremony for Armistice Day, 100 years after the end of World War One, at the Suresnes American Cemetery and Memorial in Paris, France, Nov. 11, 2018. REUTERS/Carlos Barria.